Modified bitumen storage tanks from GlobeCore are designed for PMB and bitumen products storage. Our tanks mostly are installing at asphalt producing facilities. GlobeCore can offer you storage tanks of different capacities, from 15 m3 to 30 m3. Our company meets special customer design requirements as well. 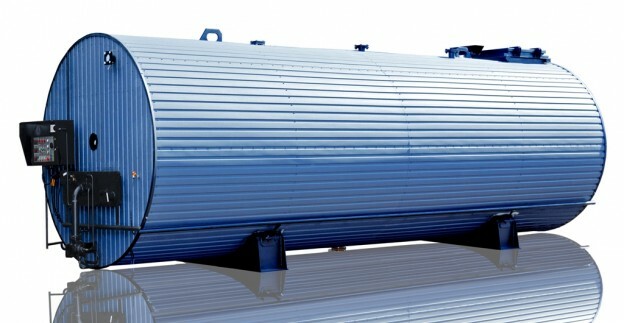 GlobeCore is producing vertical and horizontal tanks. UVB-2 storage tanks are designed for polymer modified bitumen storage from UVB-2 PMB producing system. Our tanks can be supplied with UVB-2 plant or can be integrated with existing bitumen producing facilities. Our company supplies tanks with PMB (polymer modified bitumen) mixers, automatic valves, level and thermal sensors. GlobeCore tanks are winded around with heating pipelines. Hot heat-transfer fluid runs through the pipes from a heater. Hot heat-releasing fluid circulation let bitumen products stay liquid inside the tank. Level and thermal sensors prevent our storage tanks from overflowing and overheating.